The Strabane Barony during the Ulster Plantation, 1607-41. The Ulster Plantation of the early seventeenth century is widely accepted as a period of critical importance in the shaping of modern Ulster and one of the most significant projects of colonisation in the early modern world. However, there have been relatively few studies that have looked in detail at the impact of the Plantation scheme at local level. This publication brings together the work of a group of professional and amateur historians. Forty years ago a small group of people under the leadership of the late Mr Robert J. Hunter (University of Ulster) looked firstly at the Plantation of Ulster and then sought out information for this period relating specifically to the barony of Strabane. Under the scheme of Plantation, Strabane barony was allocated to undertakers from Scotland, the chief of whom was James Hamilton, 1st Earl of Abercorn. The settlement here was therefore overwhelmingly Scottish, rather than English. Chapters in this book look at Strabane in the pre-Plantation era, the background of the Scottish undertakers, the development of the town of Strabane, the impact of the Reformation, and the socio-economic conditions prevailing in the barony in the early seventeenth century. 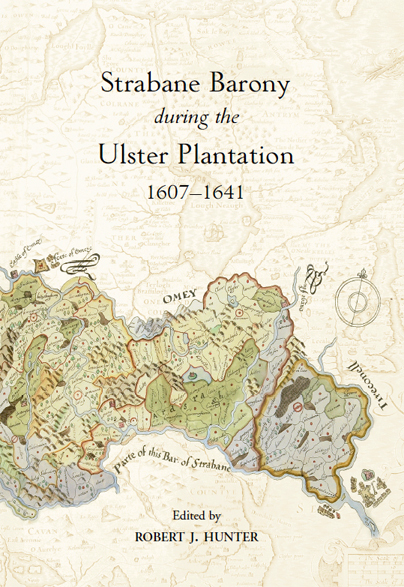 First published over 30 years ago, this fresh edition of The Strabane Barony during the Ulster Plantation, 1607-41 presents to a new audience the story of the Plantation in the barony of Strabane. It stands as an exemplar of the way in which a professional historian and his students can successfully work together to produce a high-quality publication. RRP: £9.99 | You save: £5.00!